The court granted defendant's motion in limine to exclude the testimony of plaintiff's internet advertising expert and the related opinions of plaintiff's damages expert. "[The internet advertising expert] concluded that Automated Browsing System ("ABS") advertising increases Click Through Rates ("CTR") an average of 33% over static advertising. [The expert] bases this conclusion on eleven internet sources . . . . Statistical information in press releases and other promotional materials is of doubtful reliability. . . . I only have to consider that the five sources have a wide spread (21% to 68%), which one would not expect if they were accurately measuring the same thing. I also consider that the 'statistics' have nothing approaching a sufficient explanation of what they are purporting to measure. There is nothing approaching an explanation of the circumstances surrounding the measurements. The measurements themselves are described imprecisely, and it is apparent that [plaintiff's expert] does not, for the most part, know what the measurement actually measured. Garbage in, garbage out. . . . [The expert's] underlying data was unreliable, and was unreliably applied, and I therefore exclude his testimony and any testimony for which it forms a foundation." Do 35 U.S.C. § 285 awards effectively deter litigation abuse? As policy makers continue to discuss patent reform, commentators have opined that 35 U.S.C. § 285 does little to rein in unscrupulous litigation tactics because judges rarely impose the penalty. Docket Navigator data reflects a much higher number. Click to see Docket Navigator's results. Following a jury trial, the court denied defendants' motion for attorneys’ fees under 35 U.S.C. § 285 and rejected the argument that plaintiffs engaged in vexatious litigation conduct. "Defendants assert that [plaintiff's] business model is based on serial litigation intended to extract licensing fees below the cost of defending litigation. . . . Defendants may not agree with [plaintiff's] alleged licensing framework, but they fail to show that it has been used vexatiously against either [of them]. During license negotiations, sound business practice counsels considering litigation costs during negotiations, whether explicitly or implicitly. . . . Although Defendants provided some troubling evidence that [plaintiff] had a policy of using repeated and vexatious litigation to secure patent licenses, Defendants have failed to provide evidence that [plaintiff] acted in subjective bad faith by actually implementing that policy against [them]." The court granted defendant's motion to stay pending CBM review where defendant's petition for review was pending. "[Plaintiff] has suggested that there is a threshold question regarding whether the Motion for Partial Stay is ripe for review given that the PTO has not yet granted [defendant's] petition. While the Court does not find that this is a threshold issue, it can be considered in reviewing each of the four factors. Given, however, the probability that the claims will be heard, the Court does not find the fact that the petition has not yet been granted to weigh heavily against a stay." The court granted defendants' motion to stay plaintiff's infringement actions pending a nonparty manufacturer's declaratory relief action against plaintiff, but only as to the defendants who agreed to be bound by any invalidity decision in the manufacturer case. "I would have to be willfully blind not to understand that it is a significant tactical advantage for Plaintiff to be herding twenty-one defendant cats, and that it would significantly alter the tactical landscape if the defendants are able to sit on the sidelines and let their champion, [the manufacturer], do battle. . . . The theoretical reason for staying 'customer cases' is that the manufacturer is in a better position, and has a greater interest, in defending its product. The concept is a little more complicated here, because [the manufacturer] does not sell a product that the customers resell. Rather the claim is that the customers use the product, and perhaps modify it in doing so, and then make profits from its use in their diverse business operations. . . . [I]t seems to me that if I am going to force [plaintiff] to forego chasing its preferred targets, [plaintiff] ought to get something concrete out of it, which would also offer a better chance of locking in the simplification that could result from [the manufacturer] going first. In that regard, I think the defendants ought to get one shot at invalidity, and, if they are willing to have [the manufacturer] take that shot, then I believe that the balance tips in favor of granting a stay." In a Final Written Decision, the Board rejected the patent owner's argument that "the Board must conduct a claim-by-claim analysis and determine that every challenged claim is directed to a covered business method, before it is authorized . . . to review all of the challenged claims." "[The patent owner] asserts that the Board exceeded its 'statutory authority to institute review of any patent claim which the Board has not determined to be directed to a covered business method.' [Patent owner's] argument is based on an erroneous statutory construction that interprets the word 'patent' in the statutory provision on what is subject to review as 'claim.' We decline to adopt such an interpretation. . . . [W]hen specifying the subject matter for review, Congress could have used the language 'a claim that is directed to a method or corresponding apparatus' rather than 'a patent that claims a method or corresponding apparatus.' Section 18(d)(1) of the AIA sets forth a single threshold based on just one claim—the satisfaction of which qualifies an entire patent as eligible for review—rather than a test that must be applied on a claim-by-claim basis to justify review of each claim. Therefore, a patent is eligible for a covered business method patent review if the subject matter of at least one claim is directed to a covered business method." The court denied defendant's motion to stay pending inter partes review because the lack of potential simplification of issues, stage of the case, and undue prejudice to plaintiff weighed against a stay. "[A] stay is not likely to simplify this case or, more importantly, the overall collection of 13 related cases pending in this District, at least some of which involve the same patents-in-suit as the instant matter. . . . [A]ny PTAB proceeding may not be completed [for a year and a half], whereas in this litigation the Court has devoted substantial resources to working out a coordinated schedule (which has been entered today) of the 13 related cases, which includes a motions hearing later this month and a two-day Markman hearing in [ten months]. . . . [T]he purported prejudice to [defendant] of having to litigate in the PTAB and this Court is entirely the result of [defendant's] decision to file the petition for IPR." The court granted in part defendant's motion for attorneys’ fees under 35 U.S.C. § 285 for a claim that was subject to a stipulated dismissal following claim construction. "[Plaintiff] relies on the complexity of the issue, as evidenced by the court’s request for supplemental briefing, as evidence that its position was not objectively baseless. This argument mischaracterizes the source of the court’s greatest difficulties and request for clarification, which arose not from the complexity of the issues themselves, but from [plaintiff's] shifting claim construction positions and failure to offer plausible argument in support of those positions. . . . Even now, [plaintiff] offers no plausible argument in favor of the one-molecule theory of claim construction. . . . No later than [plaintiff's response to defendant's opening claim construction brief], however, it should have been obvious to [plaintiff] not only that it was relying on the one-molecule theory of claim construction, but also that its success on the merits of [that] Claim was dependent on this construction." The court granted defendant's motion to strike plaintiff's amended infringement contentions. "Even had [plaintiff] sought leave to amend its Infringement Contentions at this late date, the Court finds that allowing the Amended Infringement Contentions would be prejudicial to [defendant]. . . . [Plaintiff] made a 'tactical decision' not to assert alternate 'infringement theories' based on the gear and linkage, and this 'strategic mistake does not equate to a showing of good cause under Rule 16.'. . . [T]he Court’s supplemental claim construction could not have been a surprise, as [plaintiff] was the one who advocated throughout its summary judgment briefing that the Court should issue a supplemental claim construction of the term 'for driving.'" The court denied plaintiff's motion to exclude the testimony of defendant's damages expert because the expert relied in part on the sale of a technologically comparable patent. "[Plaintiff's] issue with the use of [a patent] sale seems to be based on the argument that in addition to technological comparability, there must be economic comparability of the value of the technology. This is circular. . . . The [patent] sale was not a license agreement, but an outright sale of patent rights. Thus it represents the maximum value someone was willing to pay for the technology. If anything, this type of transaction overstates the value which [defendant] would place on a license for comparable technology. It nevertheless serves as a relevant data point in determining the value which the parties to the hypothetical negotiation would place on technologically similar patents, in this case the [patent-in-suit]." Following a jury trial, the court found that plaintiff's claims were not barred by laches because of equitable considerations even though defendant suffered evidentiary prejudice by plaintiff's unreasonable delay. "[T]he equities clearly favor [plaintiff], which acted negligently in delaying to enforce its patents against [defendant], rather than [defendant], which copied [plaintiff's] patents consciously and deliberately for an entire decade. Indeed, [defendant's] knowing infringement of [plaintiff's] patents is precisely the type of egregious misconduct which the Federal Circuit has recognized should significantly tip the scales of justice in favor of a patentee and defeat an otherwise well-supported laches defense. . . . [T]his Court does not believe that the record demonstrates that [plaintiff] engaged in predatory behavior by secretly 'lying in wait' to build a billion dollar damages case. . . . [Plaintiff] could be best described as naïve, timid or 'gun shy' and apparently avoided raising the specter of litigation with [defendant] in its initial correspondence and lack of follow-up, possibly because it viewed [defendant] as a potential supporter of its research efforts or employer for its students rather than litigation target." The court granted defendants' motions to dismiss plaintiff's infringement actions for lack of standing because plaintiff did not own three patents-in-suit at the time of filing even though plaintiff then obtained ownership rights before filing and serving its amended complaint. 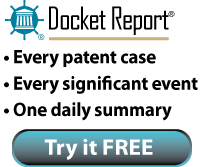 "[N]o court has yet squarely addressed whether an amended complaint as of right supercedes the original complaint in determining whether a plaintiff has standing under the Patent Act. . . . [A]llowing Plaintiff's suggested rule could incentivize a party to bring suit for patent infringement without owning the patents. That party could then withhold service of the complaint and enter settlement negotiations with the alleged infringers. While patent transfers may be recorded with the Patent and Trademark Office, it is not required, so the alleged infringers could not be certain of the validity of the plaintiff's claimed title. If the settlement negotiations succeed, the plaintiff receives a windfall. If not, it could continue with the lawsuit, so long as it then properly obtained title and filed an amended complaint as a matter of course. . . . Following Plaintiff's suggested rule would give this type of plaintiff another tool to avoid transparency by allowing claims by shell companies that do not even own the patents they assert. The Court does not wish to reward parties who aggressively seek to vindicate rights not yet theirs." The Board denied the petitioner's request for rehearing of the decision denying institution of inter partes review as to certain grounds that the Board deemed cumulative. "[The petitioner] argues essentially that the Board erred in determining that certain grounds of unpatentability . . .are cumulative . . . . [The petitioner] argues because of estoppel, not instituting on all of its proffered grounds would not 'ensure that [the petitioner] has a full, fair, and just hearing on its unpatentability issues.' Given the competing demands for speedy and inexpensive resolution and providing dispositive determinations of the patentability of claims, we are not persuaded that any injustice has been done to [the petitioner] in instituting on the specified grounds. The court denied defendants' motion to stay pending CBM review because the potential simplification of issues and undue prejudice to plaintiff weighed against a stay. "[T]he [patent-in-suit] has gone through a lengthy prosecution process, indeed one spanning over twelve years, during which time the PTO considered more than sixty patent and non-patent prior art references before eventually granting the patent. . . . Given the thoroughness of the PTO’s prior examination of the [patent], during which time more than sixty prior art references were considered, the Court is not persuaded that the [one prior art patent not previously presented to the PTO], by itself, would invalidate all or a substantial number of asserted claims of the [patent]. . . . [The parties] directly compete in at least the enterprise cloud computing market targeting public sector entities, and that such relationship is demonstrated by more than mere conclusory statements. . . . The loss of market share and consumer goodwill is particularly high in the growing market of enterprise cloud-computing, where contractors and governmental agencies are developing lists of preferred vendors." Cases Implicating Section 101 for Computer-Implemented Inventions Stayed Pending Alice Corp. The court sua sponte stayed five of plaintiff's actions pending the Supreme Court's review of a case regarding patentable subject matter. "[Defendant] alleges the [patent-in-suit] is directed to an abstract idea -- using a computer to generate a quote for a financial product-- and is thus non-patentable subject matter. . . . The abstract idea judicial exception to patent eligibility under § 101 of the Patent Act, as applied to computer-implemented inventions, is an issue that has divided the Federal Circuit. . . . However, the Supreme Court has recently granted [a] petition for writ of certiorari [in Alice Corp. Pty. Ltd. v. CLS Bank Int'l, No. 13-298 (U.S. Dec. 6, 2013). The Supreme Court's decision to grant certiorari will hopefully lead to an opinion that shall provide guidance for innovators and district courts alike with regard to patent eligibility of computer-implemented inventions under 35 U.S.C. § 101." The court granted defendant's motion for summary judgment that it did not willfully infringe plaintiff's multimedia display patents. "If a defense, which was ultimately rejected by the jury, can nevertheless be considered reasonable due to the intensely factual inquiry involved in ruling on the defense, then [defendant's] defense, which has been granted in part at the summary judgment stage, must be reasonable. . . . Furthermore, despite [plaintiff's] assertions to the contrary, an alleged infringer is not required to show contemplation of defenses to a potential infringement action before pursuit of the allegedly infringing activities . . . Requiring that, in order to have a 'reasonable' defense, a potential infringer formulate the defense before taking any action that might potentially infringe the patent, would essentially impose an affirmative obligation to obtain the opinion of counsel -- a proposition rejected by the Federal Circuit's opinion in [In re Seagate Tech., LLC, 497 F.3d 1360 (Fed. Cir. 2007)]." The court denied defendant's motion for summary judgment that plaintiff's motor patents were invalid following reexamination which confirmed the patents' validity. "This Court is not persuaded by the defendants' insistence that it disregard the USPTO's findings upon reexamination; indeed, this Court determines that the USPTO's findings are, of themselves, sufficient to create a material issue of fact. . . . [E]ven assuming that the USPTO examiner applied the wrong standard in confirming the validity of [plaintiff's] patents, this Court cannot simply look the other way in the face of the patent examiner's findings. . . . [T]his Court accepts the USPTO's findings on reexamination of [plaintiff's] patents for what they are -- evidence of the patents' validity . . . and, when viewed in the light most favorable to [plaintiff], is sufficient to create a genuine issue of fact requiring trial on the issue of patent validity." The court denied defendant's motion to dismiss plaintiff's willful infringement claim for failure to sufficiently plead knowledge of the patent-in-suit. "While courts have emphasized the importance of pleading the defendant’s knowledge of the patent-in-suit, when, as here, the defendant is a corporation, this pleading requirement should be evaluated through the scope of corporate law and agency principles. . . . In the context of willful infringement, it is safe to say that the employees required to have knowledge of the asserted patent must have some connection to the decision willfully to infringe. . . . According to [plaintiff's] complaint, [defendant] learned of the [patent-in-suit] when it acquired . . . employees who were the inventors of [certain] patents. The former . . . employees were aware of the [patent-in-suit] because it was cited to them in the prosecution history of [their] patents.. . . . [Defendant's] arguments, especially those that the . . . inventors would have forgotten [plaintiff's] patent, go to the weight of the evidence rather than the sufficiency of [plaintiff's] allegations. . . . One can reasonably infer that [the acquired employees], who themselves knew of the [patent-in-suit], later had a connection to [defendant's] willful infringement." The court granted plaintiff's motion to dismiss defendant's patent misuse defense that was based on plaintiff's conduct as a "patent assertion entity" with over 80,000 patents and 2,000 "shell companies." "[Defendant's] theory of patent misuse is not that [plaintiff] has demanded concessions beyond the monopoly power created by an enforceable patent, such as demanding illegal product tying arrangements in unpatented goods or requiring licensing fees after the expiration date of its patents. . . . Rather, [defendant] is claiming that [plaintiff] is engaging in patent misuse by attempting to enforce, in the aggregate, patents that individually, or in limited numbers, would not likely be asserted or licensed. But even were [plaintiff] requiring, by way of settlement, the licensing of its entire portfolio of patents, as [defendant] seems to allege, that policy would not appear to constitute patent misuse. . . . Although [defendant] stresses that [plaintiff's] actions must be viewed in the aggregate, its patent misuse defense . . . essentially rests on its allegation that [plaintiff] credibly threatens to enforce, in piecemeal fashion, 'thousands of patents in a never-ending series of costly and disruptive patent infringement law suits.' That allegation, however, even were it supported by facts, does not establish that [plaintiff] has or will attempt to enforce its patents beyond their temporal or physical scope." The court granted plaintiff's motions in limine to preclude evidence of decisions in foreign litigations and the European Patent Office. "[T]here is a substantial risk of prejudice to [plaintiff] given the strong likelihood that the jury would be confused and give undue deference to the foreign decisions and proceedings. . . . Proceedings and the decisions arising from proceedings conducted in foreign jurisdictions, under foreign substantive law and foreign procedural rules, and concerning a foreign patent that is not at issue in the instant action, are of dubious probative value." The court granted defendant's motion for summary judgment of no lost profits damages because plaintiff failed to establish a dispute of material fact regarding the lack of commercially acceptable non-infringing substitutes. "[Plaintiff] concedes that its expert did not consider whether there are acceptable non-infringing alternatives. This is a significant concession, as it is [plaintiff's] burden under the [Panduit Corp. v. Stahlin Bros. Fibre Works, Inc., 575 F.2d 1152 (6th Cir. 1978)] test to prove a lack of such alternatives. In the absence of expert testimony supporting [plaintiff's] claim, summary judgment is appropriate." The court granted in part defendant's motion to strike plaintiff's revised infringement contentions. "Infringement contentions must specifically identify how a plaintiff believes an asserted claim’s limitations are practiced by some feature or process of an accused camera, and cannot merely incorporate blanket accusations against 'camera software' as a whole. Plaintiff is free to identify cameras as a whole as Accused Instrumentalities for patent disclosure purposes, so long as Plaintiff can provide adequate Infringement Contentions with respect to those Accused Instrumentalities. . . . It is not enough, then, to allege that a camera’s 'software' infringes each element of each claim; Plaintiff must demonstrate that each limitation is found 'within' the Accused Instrumentality at some specific place. . . . This does not, as Plaintiff portends, require Plaintiff to provide early in this litigation 'the identification of specific routines and data when the source code is solely in the possession of the defendant.' . . . Plaintiff must allege specific ways in which that limitation exists, with as much specific identifying information as is reasonably available without discovery."